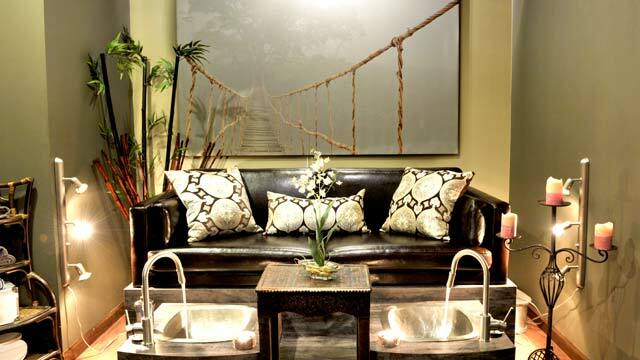 Sit back and enjoy the therapeutic warmth as your feet soak, relieving tension and stress. Cuticles and nails are the first to receive special attention;exfoliation then leaves the feet silky smooth, followed by an invigorating foot and leg massage.Your choice of polish or au natural…. A blend of Milk and Honey naturally helps to calm, soothe and moisturize the skin with vital nutrients. Enjoy highly concentrated extracts and aromas,silky lotion, and sea salt scrub in this heavenly journey…..
A pressure point massage technique of the feet is incorporated into this relaxing pedicure. Give the gift of relaxation and invigoration. Our Gift Certificates are available in any denomination and are personalized for that special someone. Individual services, packages, special events and parties – the options are endless. Gift Certificates may be charged by phone and mailed. We rent our 3,000 sq. 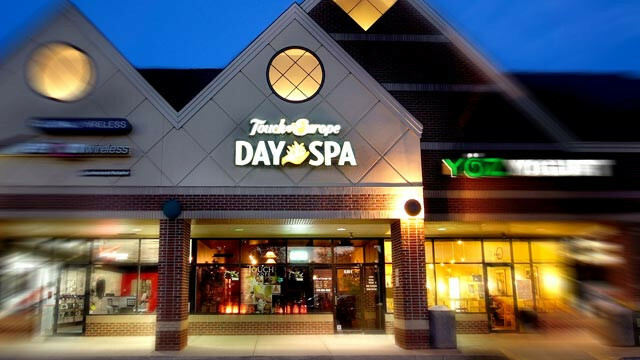 ft. facility for Spa Parties including Birthday and Bridal Parties. A Natural Drug-Free Remedy for Easing Symptoms of Asthma, Sinusitis, Hay Fever and other Respiratory Illnesses.